The in situ study and collection of battlefield measurements. The next time you look at a painting from the Napoleonic Wars, spare a thought for the poor battomatrists, tasked as they were with taking measurements, drawing diagrams and scribbling notes in the heat of battle. Despite being an era of great strategic innovation, weapons technology was somewhat static during the Napoleonic Wars. Convinced that advancing France's technology was of vital importance, Napoleon employed whole units of bataillo-meteurs to conduct the thankless (and suicidal) discipline of battometry. The prevailing belief in Europe at that time was that weapons and martial research could not be adequately conducted in serene university halls or the tumbling fields of military training grounds. 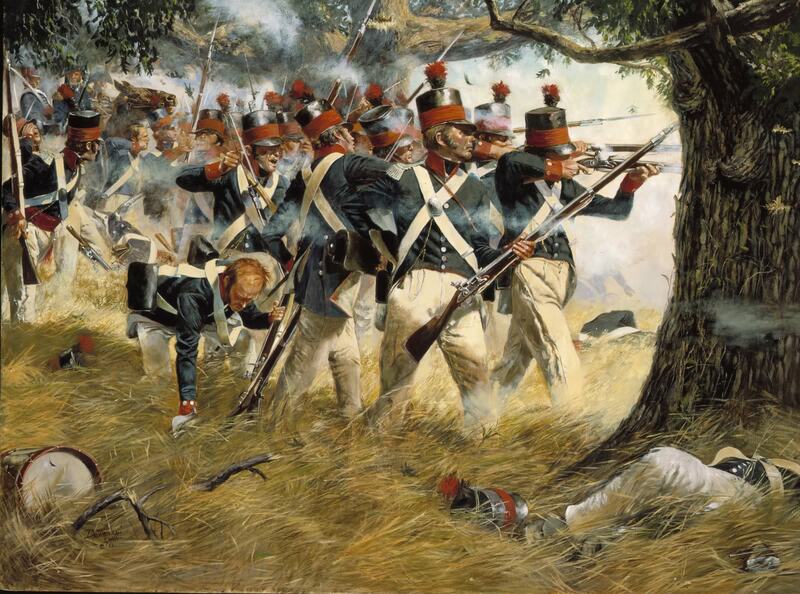 Rather, only the turmoil and chaos of live battle would provide accurate measurements, and so it was during battle that such measurements had to be taken. Napoleon did not invent battometry, but it was he that first wholeheartedly embraced it (perhaps encouraged by his mesures usuelles reforms of 1812). Napoleon gave very specific instructions on what measurements should be taken. These included timing the charging speed of enemy formations and cavalry units, wound penetration and blood loss from various weapons, musket and cannon recoil and the distances soldiers were thrown by cannon blasts and musket ball strikes. It was unthinkably dangerous work, requiring them to crawl about in the mud during battle, marking chalk lines, sketching diagrams and unrolling measuring tapes with soldiers of either side charging, firing and fighting over the top of them. 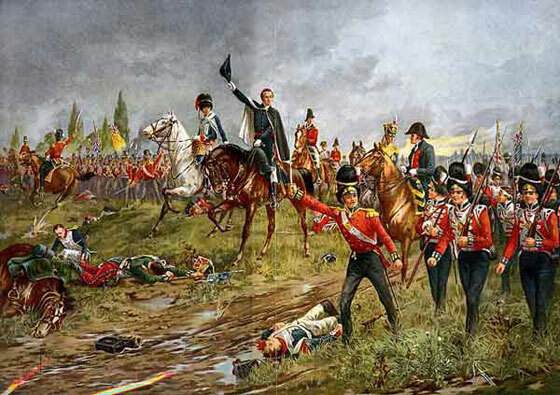 Britain's High Command was so thoroughly perplexed at the sight of Frenchmen scrabbling about with measuring tapes during battle that it dispatched letters to Napoleon asking for an explanation. Napoleon replied truthfully, and an unofficial agreement was established that neither side would interfere with the work of the other's battomatrists. Britain didn't have any battomatrists, but it was keen that France continue to use theirs as they were a noted impediment to the French forces. Indeed, letters and accounts from French commanders are full of scathing and vitriolic scorn for the battomatrists, who they complained of tripping advancing infantry with their tape, causing sharpshooters to hesitate while they measured the distance between gun and target and even startling horses mid-charge. One commander wrote with exasperation how a battromatist crawled between two fighting soldiers, causing them to pause. "He carefully marked their standing positions with chalk before giving a signal to continue. The Briton readily dispatched our grenadier with a sound pistol shot to the chest, at which this damnable battomatrist crawled over to our soldier and measured the distance by which he had fallen." It's hardly surprising that battomatrists were roundly hated by their French compatriots, both for not fighting alongside their brothers but also for such lethal interference in battle. They were also resented for having a favoured position: both France and Britain had deemed it a capital offense to kill or otherwise deliberately interfere with them. Despite this apparent protection, their life expectancy was short indeed and most died on the battlefield, crushed to death by stampeding boots or hooves or otherwise caught in the crossfire of war. Their plight was made considerably worse by Napoleon's insistence that they wear the standard French uniform, saying that he 'would not inflict the indignity on any Frenchman that is a member of the soldiery of stripping him of his uniform.' Generally, the only overt difference between a bataillo-meteur and a normal soldier was that the battomatrist didn't wear a hat (and carried metre sticks and measuring tape); such a thin distinction was little protection during the frenzy of war. It's unknown whether or not any of the data collected through battometry advanced weapons technology at all. The British certainly didn't think it had any value other than sowing dissent and confusion among French ranks (there are several accounts of British officers returning the bloodied, crumpled and partially completed notebooks of fallen bataillo-meteurs, so keen were they that Napoleon's programme continue). After the fall of Napoleon, battometry fell out of favour across Europe, and weapons research moved back to altogether calmer and more scientific theatres. All that remains now of battomatrists is their passing depiction in various works of art and a few battered, half-empty notebooks gathering dust in museum archives. Hard to imagine that this really existed - taking measurements in the middle of a battle! You're being too negative, Ed. Bataillo-meteurs get get to travel places! All they see is the ground, but at least they're out and about. Background noises, the smell of blood and bullets flying around your ears make for an exciting workplace. A perfect job opportunity for outdoorsy people! RYC: Yes I was. I was indeed. We drank bad coffee there. And saw a build-a-bear shop in a very big shopping centre. Hmm ... that's the thing though Bibi ... I hate being on my knees. Any job at all that requires me to be on my knees, be it carpet-fitter or battomatrist, is definitely not for me. Also, I like peace and quiet. Nope, I just wouldn't have fit in at all. Maybe they got to take one of those knee pads with them. You know the ones, multi-coloured foam, all grandpas used to have them... like this. I certainly hope so. It would have been sheer barbarity otherwise. Napoleon apparently ordered the precise measurement of the ' don't fire until you see the whites of their eyes' distance also, reportedly after he lost a battle to a horde off entirely bloodshot Russians. That's just nonsense. Stop filling up my page with nonsense, you nonsense-mongerer. Good grief! I'd never heard of this before. It's hard to believe this actually happened. I can see why battomatrists were hated by the soldiers who were actually fighting. One would think Napoleon would have seen what was happening as a hindrance and as foolish. Wow.